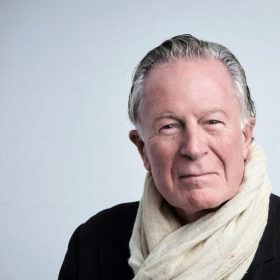 Widely regarded as the ‘father of modern American cooking’, Jeremiah Tower began his culinary career in 1972 at the acclaimed Chez Panisse in Berkeley, from where he became a key player in the emerging Californian cuisine movement. He subsequently launched Stars in San Francisco, which was an immediate success. With a clientele that included Liza Minnelli, Rudolph Nureyev, Luciano Pavarotti and Joe Di Maggio, Stars was firmly established as the ‘go to’ destination for the leading cultural figures of the age, and Jeremiah secured his position as America’s first ‘celebrity chef’. In recent years, led in large part by the success of The Last Magnificent, Anthony Bourdain’s biographical documentary, Jeremiah is returning to international prominence. In 2016 he published Table Manners: How to Behave in the Modern World and Why Bother, soon followed by a new and even more revealing version of his memoir, Start the Fire: How I began a Food Revolution in America. His most recent book, Flavors of Taste: Recipes, Memories and Menus (published in Kindle format) captures the foods that changed American cuisine.